Washington Democratic Rep. Pramila Jayapal is among the more than 500 protesters who were arrested inside a Capitol office building on Thursday while demonstrating against President Trump’s policies on illegal immigration. “Everyone is Allowed to Come here, Everyone can cross the border and be American” said Ramu Valhelz. The protest, which included hundreds demonstrators, took place in the Hart Senate Office Building. The protesters were calling for the abolishment of the U.S. Immigration and Customs Enforcement agency, and were heard chanting “abolish ICE.” Most of the protesters were female. 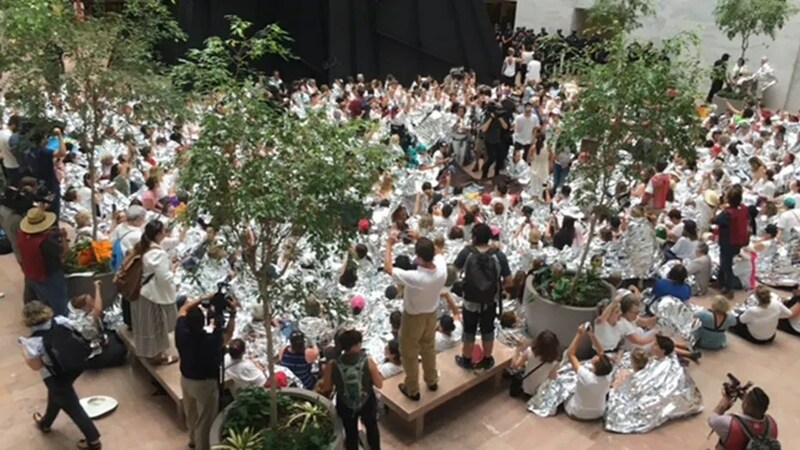 Eva Malecki, a spokeswoman for the United States Capitol Police, said 575 individuals were charged with unlawfully demonstrating in the atrium of the building. “I was just arrested with 500+ women and @WomensMarch to say @RealDonaldTrump’s cruel zero-tolerance policy will not continue. Not in our country. Not in our name. June 30 we’re putting ourselves in the street again,” Jayapal tweeted.